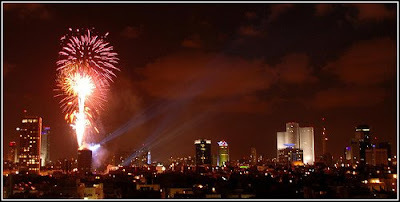 This weekend Israel celebrates its 60th year of independence. Since 14.5.1948 this small country in the heart of the Middle East has turned from an agricultural based economy into a full blown economic wonder and success story. I chose to review Israel economic success through this list of little known facts and figures which, unfortunately, hardly ever make it to the news. The list will be divided in to Geography and Government, Economic Review, High-Tech Industry, Education, the Stock Market and Challenges. 1. Israel has a very small land area of approximately 8,500 sq. miles (vs. 3,794,100 sq. miles of the US). 2. Israel is a representative democracy with a parliamentary system. 3. Israel’s labor force is comprised of 2.85 million employees. 4. Israel’s economy is constantly transforming. Once characterized by a substantial public sector and a socialistic point of view the country’s economy has become much more liberal and competitive. 5. Israel is poor in natural resources (with the exception of potash) and depends on imports of petroleum, coal, grains and beef. 6. Israel’s coin is the NIS or New Israeli Shekel which has strengthened dramatically over the last years from a level of 4.6-4.8 NIS/Dollar to a level of 3.4 NIS/Dollar today. 7. In 2007, Israel had the 44th-highest gross domestic product and 22nd-highest gross domestic product per capita (at purchasing power parity) at US$232.7 billion and US$33,299, respectively. 8. The country’s GDP by sectors is similar to that of developed countries with a leading services sector at around 67%, the industrial sector follows with 31% and agriculture is responsible for the remaining 3%. 9. Israel’s major industrial sectors include a leading high tech industry, electronic and bio medical equipment, chemicals, metal products. 10. The country’s diamond industry is one of the world’s centers for cutting and polishing diamonds with a growing emphasize on trade. 11. The country is a member of the World Trade Organization and a trial member of the Organization for Economic Co-operation and Development (OECD). 12. The GDP growth of 2007 was 5.1%. 13. Israel has to thank its greatest ally, the USA, for a significant part of its economic success. For years the USA has provided Israel with military and economic aid and debt assurances helping the young economy blossom. 14. Israel is a world leader of software development. In 1998, Tel Aviv was named by Newsweek as one of the ten most technologically influential cities in the world. 15. Israel was the destination for the first R&D centers outside the USA for Intel and Microsoft and also hosts R&D centers for Google and in the future for Yahoo!. 16. Foreign investments in Israel’s economy are increasingly growing with prominent investors showing increased interest. Examples include HP purchase of Mercury for 4.5 Billion dollars (cash), Berkshire Hathaway’s first investment out of the US of ISCAR Metalworking for 4 billion dollars, SanDisk’s purchase of M-systems for 1.5 Billion dollars and more. 17. Dominant Israeli companies include: Generic pharmaceuticals giant TEVA, Cutting tools leader ISCAR, software and information security leader Checkpoint, defense industry’s IAI and many more. 18. Israel has the second-largest number of startup companies in the world (after the United States) and the largest number of NASDAQ-listed companies outside North America. 19. Israel has the highest school life expectancy in Southwest Asia and is tied with Japan for second highest in Asia. 20. Israel ranks third in the world in the number of citizens who hold university degrees (20% of the population). 21. Israel has produced four Nobel Prize-winning scientists and publishes among the most scientific papers per capita of any country in the world. 22. Israel’s stock market is called The Tel Aviv Stock exchange and features two prominent stock indices called the Tel Aviv 25 and Tel Aviv 100 made of the 25 and 100 companies with the highest market value. 23. The TA25 and TA100 generated an average yearly return of 12.4% and 12.6% since the early 1990’s with the last 5 years generating over 175% in total. 24. The Israeli stock market is always evolving with increased transparency and regulatory requirements and more complex financial products, new ETF’s and mutual funds, derivatives and more. 25. Israel has decided on a gradual, yet swift, adoption of IFRS accounting principles increasing the uniformity with global accounting standards and the level of transparency of financial reports. 26. The Israeli – Palestinian issue and the efforts to resolve it will be occupying Israel for the foreseeable future. 27. On the Syrian front the challenge of peace remains with voices from Jerusalem and Damascus speaking peace and preparing for confrontation. 28. Iran’s nuclear arms race threatens both the stability in the Middle East and also the world’s. It seems the Iranians are very determined to reach nuclear weapons capability and are taking advantage of the world’s leniency and conflicting interests of the west and east (US, Europe, China and Russia). 29. As the economy evolves into a more liberal, capitalistic and competitive one social inequalities rise. The country faces the challenge of increasing equality for the benefit of the entire society. 30. Keeping the competitive edge in high technology research and application will be occupying the country in the years to come with both India’s and China’s increased prominence. 31. Other challenges include the relationship with Israeli Arabs, the diversity of Israel’s citizens and co-existence and the future of Zionism. Hopefully this post will help bring out more sides of Israel than the ones featured daily in the news. More on the economy of Israel is available in Wikipedia, or in this special report by Economist.com researching Israel’s economy after 60 years (achievements and challenges).